When he’s not conducting research in the lab, Blake loves to travel both for work and for fun. He especially enjoyed a recent trip to China where he hiked across an abandoned section of the Great Wall, as well as a visit to Australia where he toured the exquisite Royal Botanic Gardens in Melbourne. Blake strives to balance his family life with his science, and he also enjoys reading cookbooks and experimenting in the kitchen at home. Blake grew up in an academic family, so he was interested in becoming a professor from a young age. He spent a lot of his time outside, and his choice to pursue science was a departure from his family’s background in the humanities. After taking a biology class his freshman year of college, Blake began to think science might be a good fit for him. During his sophomore year, he became more interested in agriculture and discovered his passion for plants. Blake’s lab has characterized unusual pathways for production of RNA in plant reproductive organs (the anthers). They discovered there were rapid and extreme bursts of RNA production (especially small RNAs), whose functions were still unknown. This work was really challenging to get published. He and his colleagues thought the project was novel and exciting, but the reviewers and editors of journals were not as impressed. Blake spent a year submitting the paper, getting rejected, making changes, and re-submitting. Eventually everyone’s hard work paid off, but it was a long process. Getting the paper on small RNAs in plants published was a huge success. They used different genetic mutants and microscopy techniques to provide a spatiotemporal map of small RNAs to show where and when these were produced. Current projects in Blake’s laboratory are continuing to build off this work now. New Zealand was Blake’s all-time favorite travel destination. He went there about 10 years ago for a conference, and his wife was able to travel with him. They took a vacation afterwards, visiting the North and South Islands. Blake was blown away by the incredible geography of the country. He saw breathtaking coasts, pristine forests, volcanic regions, and lakes. His stay in the town of Rotorua was one of the major highlights of the trip. Blake maintains a supportive and fun atmosphere in his lab. The lab is very culturally diverse, and it has been fun to share different things that are unique to each person’s own cultures. One thing that blake has enjoyed is teaching international students the quirks and weird expressions in our language. Careers in science are exciting and rewarding, and it’s important to stick with it even during the tough times. Plants are sometimes underappreciated, but they are critical to our survival. There are so many exciting unanswered questions in plant research. 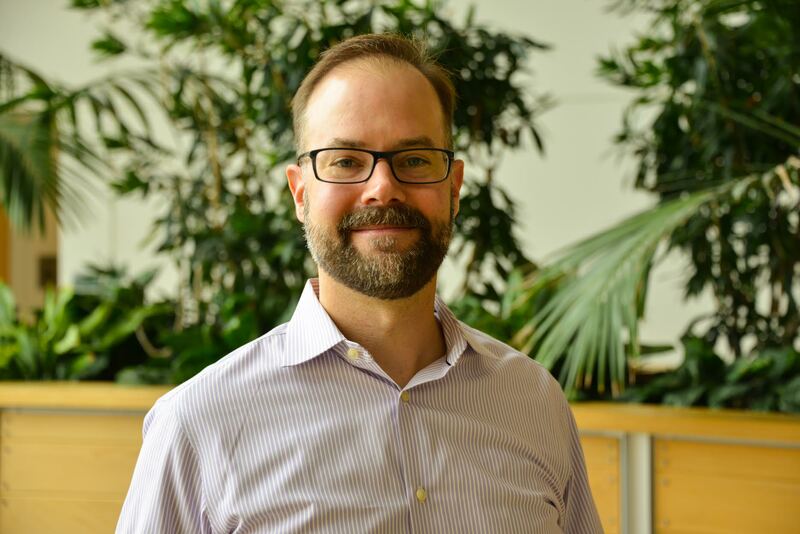 Blake’s work focuses on genome-scale studies of RNA and components of RNA silencing pathways, with a recent emphasis on plant reproductive biology and the evolution of plant small RNAs. Blake has been involved with next-generation DNA sequencing since its earliest days, and he has developed a number of applications of this technology, including computational methods, that have had a deep impact on plant genomics.